IN a town known as “Festival City,” it can be difficult for festivals to stand out from the rest, so you’d better bring it if you’ve got something new up your sleeve to introduce to the locals. Here in Edmonton, festivals come and go, never to be heard from again, while others - such as the Fringe and K-Days - have become staples of our summer splendor. 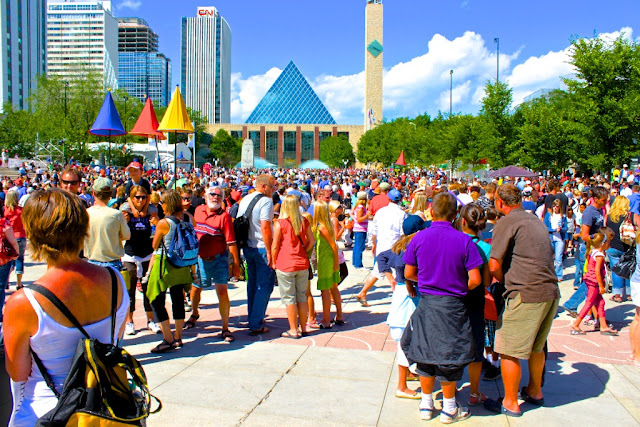 The free and family-friendly Edmonton International Street Performers Festival - the oldest of its kind in North America - happens to be one of those summer staples for a quarter of a million people every year. Churchill Square in downtown Edmonton fills up every summer for the Street Performers Festival! Traditional street artists, roving character actors, dancers, puppeteers, comedians, acrobats, clowns, tightrope walkers, and even mimes congregate downtown on Churchill Square for ten days in July, swallowing swords, juggling chainsaws, or trying to escape from imaginary boxes simply to make us smile. Well, perhaps also a little for the tips that some of these buskers from around the world actually live on. 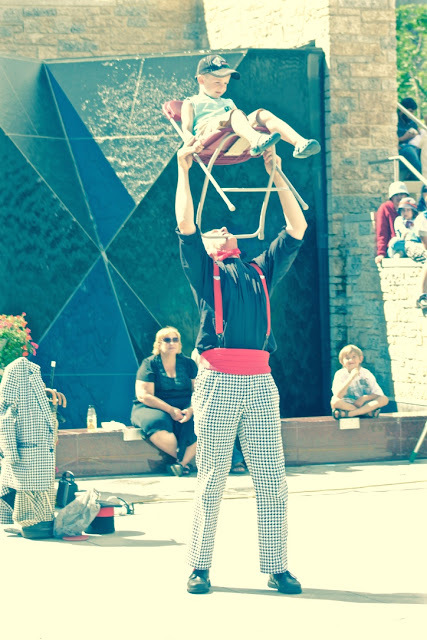 But, when the festival began back in 1985, organizers Finkel and Sheldon Wilner certainly couldn’t have anticipated just how large and popular their busker show would become, essentially putting our northern town on the map when it comes to internationally-renowned and innovative street performance. One of the talented performers at the 10-festival. That first year, there were only 20 acts during the run of the festival, including iconic French rope-walker Phillipe Petit, who gained fame worldwide when he walked on a wire suspended between the two World Trade Center Towers in New York City. Despite low attendance numbers and a constraining budget, Finkel and Wilner refused to set their outlandish festival to pasture, instead uprooting to its current home on Churchill Square by 1987.